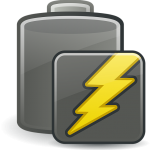 ‘Consolidated Edison wants to test out a new energy storage business model in a project planned with microgrid developer GI Energy at four customer sites. The New York utility proposed the demonstration project in a Reforming the Energy Vision (REV) filing before the state Public Service Commission late last week (Case 14-M-0101). For the full write up, please see ‘Con Edison Proposes New Energy Storage Business Model‘. To discuss any of the issues raised, please contact the GI Energy Team. Please see also our blogs on Con Edison’s Demand Response Auction and its energy storage economics.